Girt By Sea: 'Now Heated' - Gembrook IGA - August 2013. 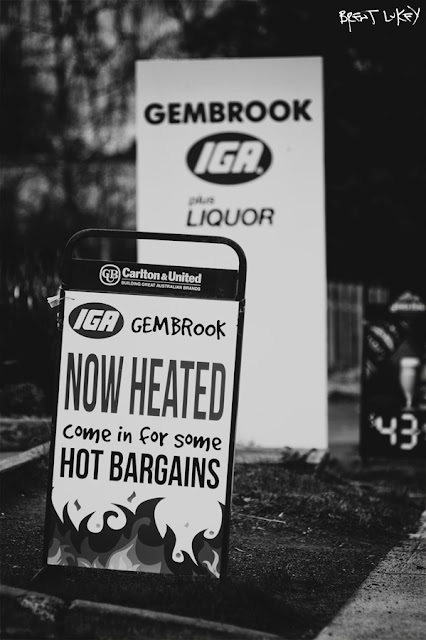 'Now Heated' - Gembrook IGA - August 2013. Girt by Sea - mostly Melbourne Street Photography. Updated from time to time. Photographs are available to purchase for editorial use, commercial installation, wallpaper or book covers. Photographs are available to purchase as art prints on cotton rag. MAPgroup book launch - 'Heartland' 50 Years of the Australian Conservation Foundation. ‘The Valentino Cage’ David Jones - Melbourne (winter 2018). The last post - moving to Instagram and Facebook only. Bourke Street and Ramsay - Melbourne (winter 2018). Bourke Street - Melbourne (winter 2018). William and Bourke Streets - Melbourne (winter 2018). Flinders Street Station - Melbourne (winter 2018). Brent Lukey is a passionate documentary street photographer based in Melbourne. He is fascinated by beauty in reality, moments of connection, and a sense of time and place. He loves Melbourne and pinot noir. © All Rights Reserved. Brent Lukey 2016. Simple theme. Powered by Blogger.